Types of Braces: Which is Right for Me? Braces are almost a rite of passage for many American teenagers. All the same, it’s not uncommon to see adults wearing them as well. Braces do improve the appearance of the teeth and smile. However, the primary reason for braces is to improve the function of the mouth, decrease the risk of tooth decay and prevent problems like uneven tooth wear, jaw pain and headaches. Since there are a number of different types of braces, patients have multiple choices. Here’s some information to help you pick the braces that are right for you. 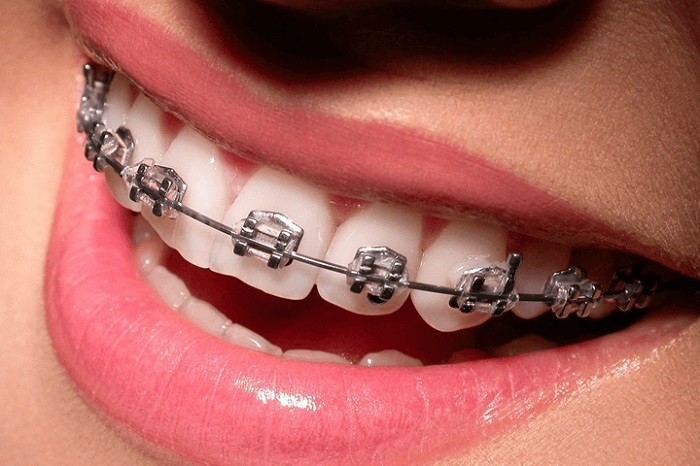 Traditional stainless steel metal braces consist of metal brackets that are applied to the teeth and glued into place with a special bonding cement. Wires (called arch wires) and rubber bands are attached to the brackets to gradually move the teeth into the proper position. Today’s metal braces are much smaller compared to previous styles. The use of heat-activated wires means the braces are typically less painful and move teeth more quickly than was once the case. These braces are the most effective for all kinds of orthodontic problems and are the least expensive. They are the most noticeable, although that can become a positive as they can be “dressed up” with colored bands and shapes. You can’t eat hard or sticky foods with these braces because of the increased risk of breaking a tooth or of tooth decay. In many ways, ceramic braces are like traditional braces. However, they are made from ceramic – which can be colored to match the natural color of your teeth – or from clear ceramic material. Some styles even have tooth-colored wires. In terms of function, they are the same as traditional metal braces. Ceramic braces tend to be much less noticeable than traditional metal braces but they are not invisible. They are slightly more expensive than metal, but are one of the more effective types of braces. The brackets may stain more easily, and you can’t eat hard or sticky foods. The elastics used in ceramic braces can also become discolored and stain the teeth. Damon braces are available in both metal and ceramic versions. Instead of arch wires, the Damon system has an adjustable sliding mechanism to hold and adjust the wires. Proponents of this system say the mechanism allows the teeth to move more freely and that there is less discomfort than with traditional braces. Because there are no elastic ties and fewer surfaces to attract bacteria and plaque, Damon braces can make oral hygiene easier. Damon braces typically require fewer appointments. Lingual means on the side near the tongue, and these braces are essentially the same as traditional metal braces. The only exception is that they are placed on the inside surface of the teeth. Lingual braces are really invisible in most cases, although others might see them if you throw back your head and laugh loudly. They are more expensive than most other kinds of braces and they are harder to clean. Lingual braces are not suited for all orthodontic problems. It takes more time for an orthodontist to adjust these braces, so appointments are longer. Some people find them more uncomfortable than other types of braces and they may affect your speech sightly. Invisalign braces are very different from other styles. These consist of a clear, BPA-free plastic aligner that fits over the teeth. The aligners are designed using computer-assisted digital models to ensure proper fit. Every few weeks, you change to a different aligner. Unlike all other types of braces, the Invisalign device is removable. Invisalign braces are definitely on the high end of the cost spectrum when compared to other braces. However, they are the least noticeable of all kind of braces. Because they are removable, you can eat and drink anything. Since the aligner can be removed, it is very easy to brush and floss the teeth. Treatment with Invisalign may take longer than with other types of braces, but appointments may be less frequent. Effectiveness: People who have really severe orthodontic problems usually do better with traditional metal or ceramic braces placed on the front of the teeth. Cost: The Invisalign system is usually the most expensive option, while traditional metal braces are least expensive. Visibility: Invisalign braces are the least visible, followed by lingual braces and clear ceramic braces. Oral Hygiene: All braces except Invisalign require careful attention to oral hygiene. Lingual braces are probably the most difficult to keep clean. Diet: Metal and ceramic braces are subject to breakage, which means foods like hard candy and popcorn are usually off the menu. 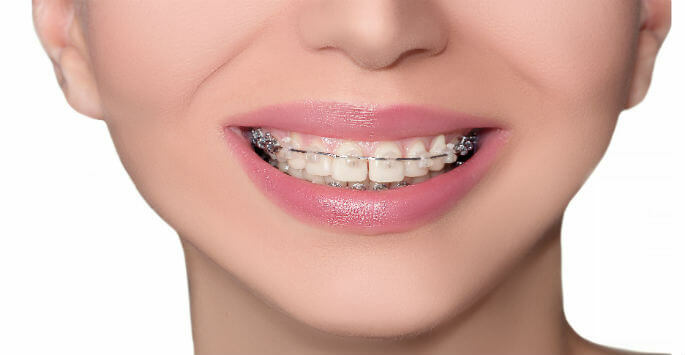 Sticky candies and dried fruits are more likely to cling to these types of braces. In all cases, you should expect that orthodontic treatment will take at least one and, in most cases, closer to two years. With the exception of Invisalign, a mouth guard is recommended during sports activities to help prevent injury from a fall or blow to the face. Oral hygiene is vitally important when you wear braces. Thus you will prevent food and debris from creating the conditions that may increase your risk of cavities. No matter what type of braces you choose, you’ll probably need a retainer for about a year afterward to ensure your teeth remain in the new position. Like anything else, each system of braces has both advantages and disadvantage. You and/or your parents must consider all factors in making a decision. For example, while cost is a consideration, a very shy child or a person to whom appearance is a major consideration because of his or her occupation may need the less visible types of braces. A child who may not give careful attention to oral hygiene may benefit from Invisalign. Take your time and research all the options to make the decision that is right for you.